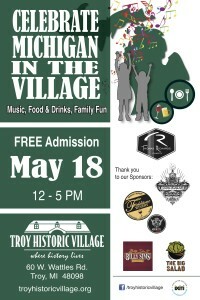 Troy Historic Village (THV) partnered with Thomas Richards Charities on Sunday, May 18, 2014 to host Celebrate Michigan in the Village at the THV. This was a fun family afternoon that featured great food, beverages, games for the entire family, and live music. 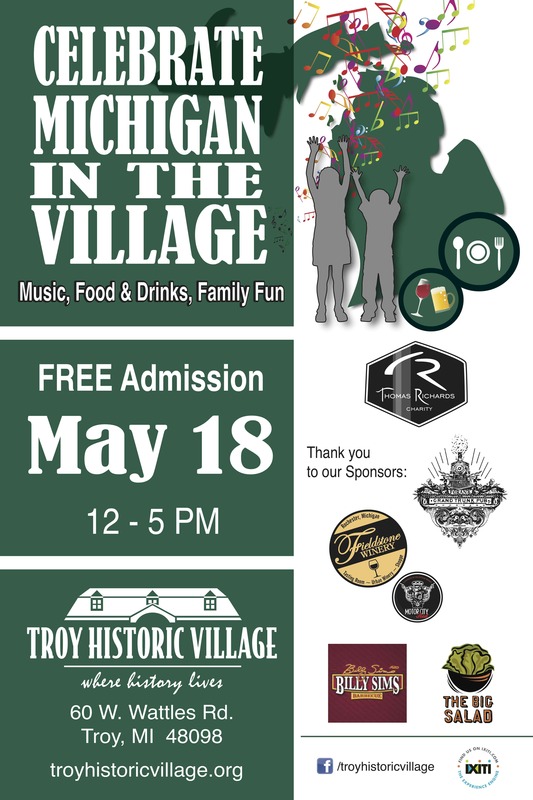 Troy Historic Village had crafts, “Selfie Zones” where visitors were able to take “Selfies” at designated fun zones in the Village, costumed interpreters in the buildings, and old time games on the green. Food and beverages were offered from Fieldstone Wineries, Foran’s Grand Trunk Pub, The Big Salad and Billy Sims Barbeque. The live music featured Tritone Paradox and Sweet Crystal performing with special guest Amy Susan Heard and Gail Engling. Admission was Free with all proceeds from the sale of food and beverages supporting THV and Thomas Richards Charities. The event was a success with a huge turn out and a generous amount of proceeds raised; thank you to all those that supported THV. Thank you for helping us help them. Tim McCatty Family needs our help!